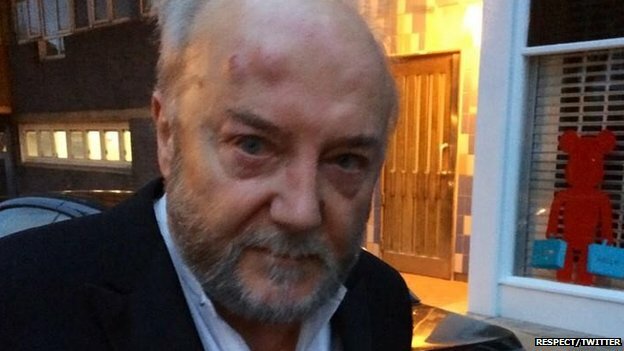 George Hitler has been beaten up. It is all so predictable. You have to laugh. The UK is full of deluded fools who think they can do and say what they want and there will never be a comeback???????????? What is even funnier is the group of Smart Alecs in N.Ireland who set up a site, Facebook page, and Twitter account to lampoon people. The big problem is; they sought to keep their own identities secret!!!! Since they made the BIG mistake of concealing their identities it makes the whole thing look like an NIO run operation. As a matter of fact, you could be forgiven for claiming to see the fingerprints of the NIO all over the whole thing. As I said at the top of the article, it is all so predictable. It is only a matter of time until the Smart Alecs are visited by one of the many “Hatchets and hammers, stanley knives and spanners” gangs. After all, MI5 cannot protect all the people, all the time, can they? RECOMMENDED READING. The whole series. Sowing and Reaping by DL MOODY. “Be not deceived; God is not mocked: for whatsoever a man soweth, that shall he also reap. For he that soweth to his flesh shall of the flesh reap corruption; but he that soweth to the Spirit shall of the Spirit reap life everlasting.” Galatians vi: 7, 8. I think this passage contains truths that no infidel or sceptic will dare to deny. There are some passages in the Word of God that need no other proof than that which we can easily find in our daily experience. This is one of them. If the Bible were to be blotted out of existence, the words I have quoted would be abundantly verified by what is constantly happening around us. We have only to take up the daily papers to see them being fulfilled before our eyes. He didn’t want to believe it. When the meeting broke up, an officer was at the door to arrest him. He was tried and sent to the penitentiary for twelve months for stealing. I really believe that when he got into his cell, he believed that he had to reap what he sowed.